is an online homework, tutorial, and assessment program that truly engages students in learning. It helps students better prepare for class, quizzes, and exams—resulting in better performance in the course—and provides educators a dynamic set of tools for gauging individual and class progress. And, MyEconLab comes from Pearson, your partner in providing the best digital learning experiences.Note: You are purchasing a standalone product; MyEconLab does not come packaged with this content. If you would like to purchase both the physical text and MyEconLab search for ISBN-10: 0133450872 / ISBN-13: 9780133450873. 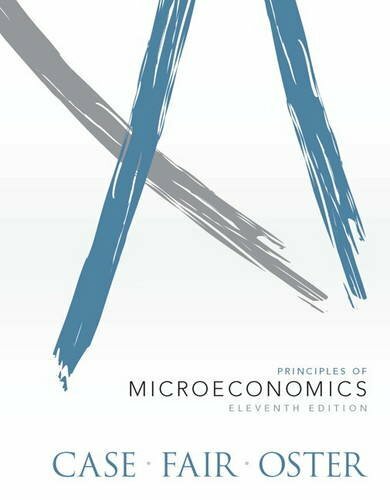 That package includes: ISBN-10: 0133024164 / ISBN-13: 9780133024166 Principles of Microeconomics, 11eISBN-10: 0133049981 / ISBN-13: 9780133049985 MyEconLab -- NEW MyEconLab with Pearson eText -- Standalone Access Card -- for Principles of Microeconomics, 11e MyEconLab is not a self-paced technology and should only be purchased when required by an instructor.